Clean-in-place (CIP) systems are used by food manufacturers to eliminate the soil load buildup during normal production. CIP systems vary widely in configuration, operation, and the level of automation. In many companies, plant, corporate engineering, IT, and their partner integrators are pitching in to create robust automated systems to improve CIP operations by reducing cycle times as well as reducing water and chemical usage. The techies are helping production in many ways by using the most current technologies for computers, process controls, instrumentation, software, networking, and security in CIP. These platforms are being integrated into comprehensive systems to provide new levels of efficient and effective CIP operations, data capture, and real-time information analysis. Let’s explore the tools making automation in CIP contribute more to the bottom line than ever before. Configurations vary for CIP systems. They typically include self-contained skids; kitchens with large tanks for single CIP systems; and kitchens with large alkaline, acid, sanitizer, and recovery tanks for simultaneously servicing multiple CIP systems. Whether a CIP system is a skid or kitchen, it can consist of the following. Components common to the variety of CIP systems include water supply source; supply pump; supply-side heat exchanger and temperature transmitter; tank inlet, outlet, and recirculation valves; chemical addition pumps; and chart recorder, either paper-based or electronic, to record, at a minimum, temperature over time. CIP operations can be successfully run with this configuration, although a high degree of manual control, constant monitoring, and intervention is necessary to insure effective and safe operation. Production usually finds it very difficult to maintain consistency of chemical concentrations, wash temperatures and times, and rinse water quantities. 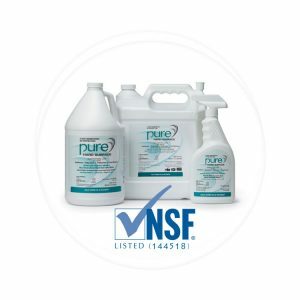 Worse yet production may routinely over compensate the operation by adding more chemicals to insure minimum cleaning requirements are met or running at higher temperatures, longer wash times, and greater rinse water quantities; all more costly to operations. Manufacturing can significantly increase efficiency and reduce operating costs for CIP by enhancing systems with additional components. More robust CIP systems will have the following components. Supply side flow transmitter – rinse and wash steps can be precisely controlled by totalizing the liquid quantities delivered to each CIP circuit. Variable frequency drive on the supply pump – supply side flow rates can be precisely controlled with a loop control tied to the flow transmitter above. The benefits gained are ensuring line circuits achieve minimum liquid flow velocities for surface contact in the various pipe diameters, and sufficient flow through spray balls for tank circuits. Supply side line pressure transmitter – monitor point to detect if an obstruction in the circuit is present when pressure is too high or a break in the circuit exists when pressure is too low. Level transmitters or level probes on the tanks – used to signify when action needs to be taken; especially when low levels are reached before or during a CIP operation. pH transmitters for alkaline and acid tank makeup – monitor point used when combining water with the alkaline and acid chemicals to the desired concentrations and pH levels.